Gaming is the mass medium of the 21st century. We’ve soared past the early days of Tetris and PacMan to multiplayer games designed to solve complex scientific and social problems. Online gaming’s meteoric rise has been accompanied by a few stereotypes too. The stereotype of the gamer as a solitary creature still has a lot of hold in modern culture. Think of the word “gamer” and you start to imagine a caricature of a teenage geek, holed up in his bedroom, subsisting on snack food and ignoring his hygiene and social life, fixated on his favorite game. The reality is that gaming is increasingly a social activity. Players meet online to compete and form teams, swapping strategies and banter over voice chat. Gamers are also taking themselves out of their bedrooms and into real life gaming competitions, where players from all over the world meet to see who’s the best, competing not just for points, but for real money and prizes. Some gamers are so good that they’ve been able to make a living playing competitively, like professional athletes. Gaming hardware and peripheral makers seek these professional players out for endorsements the way sneaker and cereal makers seek out other professional athletes. Who said playing games was a waste of time? Korea’s Lee Jae-dong, who competes under the name Jaedong, has scored over $600,000 from gaming competitions. Behind the scenes, servers make the new world of social gaming possible. These servers need to be hosted somewhere, and with the business web hosting market saturated, a number of providers are turning to a very lucrative player base. Multiplayer gaming is as old as gaming itself. The earliest form most people were exposed to is playing simple games with friends like Tic-Tac-Toe. The first online multiplayer games started to appear in the 1970s. While most of these earlier multiplayer games were developed at universities, they started to appear in the private sector when early online services like CompuServe were first made available to the public in the late ’70s and ’80s. It was with the arrival of first-person shooter games in the 1990s like id Software’s Doom that multiplayer games began to get more sophisticated. A little retro for you? Check out these players and their first encounters with Doom. Doom not only revolutionized the computer game market as one of the “killer apps” of the PC platform, but it also became popular for its “Deathmatch” mode, where players could face off over the network instead of the computer-controlled demons from a portal from Hell. Id’s next game, Quake, also brought major changes upon its release in 1996. The game supported internet play right out of the box. “Quake” ushered in the modern era of gaming. How Do Game Servers Work? Multiplayer video games work on the client/server principle as do many other networking programs. While it’s possible to host a game server on a home computer, there are issues that may make it difficult to host it on the internet. Can I Run Multiplayer Gaming on My Home Network? If you’re on a home network, it might be impossible for other players to reach you. This is because your Wi-Fi router will likely block the ports used by your game unless you know how to forward or unblock them in your router’s settings. Security, in general, is just as much an issue for gamers as it is for businesses. Prominent game servers are prime targets for hackers and pranksters. Most gamers simply won’t have the time or the expertise to maintain proper security on their systems. Servers are also designed to run 24/7, 365 days a year. The hardware available to consumers, even high-end gaming hardware, just isn’t designed for that kind of reliability. If you try to run a game server with lots of players all the time, it’s likely that you’ll suffer some kind of hardware failure if you push your machine too much. You’ll also need to pay for the power your computer consumes, as well as deal with the heat it generates. Hosting companies have specialized datacenters running computers that are designed to stay up 24/7/365. Plus, these hosting companies have Service Level Agreements that specify what will happen if some kind of failure does happen. Usually, you’ll get some kind of credit off the next month’s bill. When your home machine breaks down, you’re on your own. Performance is also a big reason to opt for an outside hosting provider if you’re at all serious about running a game server. Do I Need a Dedicated Server for Gaming? For performance, it’s better to spring for a dedicated server over a shared server. A dedicated server will give you a lot more flexibility than a shared plan, plus you won’t have to share it with any other gaming groups. You don’t want to be competing with others on a shared server for uptime, bandwidth, and app loading speed. Plus you’ll want maximum flexibility for customizing your set-up. Because modern gaming is so compute-intensive, there’s no real option other than a dedicated server. Is It Worth Going To a Gaming-Focused Host? But could you get an account on any VPS or dedicated provider and roll your own game server? You could, but there are easier options. Gaming-focused hosts will make it deploying game servers easier with all of the creature comforts mentioned earlier. You’ll be able to spend more time playing games than just setting them up. Most residential broadband internet connections are asymmetric: the download speed is higher than the upload speed. That’s fine for surfing the web or binge-watching, but it can be a real problem with a game server that needs to upload and download data. For these reasons, it’s better to only run your own game server if the players are within your network, such as for a LAN party. While modern video games have chat functions for players to communicate with each other, having to type out their taunts and strategy planning can slow players down. For this reason, voice servers have become popular applications for gamers. How Do Voice Servers for Gaming Work? These applications let gamers talk to each other using headsets instead of typing. Like the games, they use a client/server architecture. The client runs on a gamer’s computer while the server runs on… well, a server somewhere. Members of the Discord app team share a gaming stream. All of the users on the server can talk to each other at the same time. Users can also chat with each other one-on-one. It’s convenient to host the server at the same place that the game is hosts. Many hosting providers catering to gamers will advertise these voice servers as one of their features. Superficially, these applications resemble VoIP apps like Skype. They probably would have been general-purpose VoIP apps if Skype hadn’t already cornered the market. These developers have likely targeted a specialized market to survive. Discord has had a lot of usage outside of gaming for communities with real-time chat, similar to how offices have been using Slack (which was originally created for gaming) to chat with each other. They’re similar to web-based apps to connect people dispersed across the globe. These apps serve as a substitute for the older Internet Relay Chat (IRC), which has a reputation as the domain of geeks. A lot of gaming-focused hosts are like conventional hosts: they love to advertise their options. General requirements Make sure you check the technical requirements of the game(s) you use and choose a server that matches them. Server type Choose a dedicated server over a shared server, so you’re not competing with others for load time, bandwidth, and uptime. Speed and Performance Look for a Tier 1 provider, powerful processors, SSDs, and top quality hardware. Uptime Is there an uptime guarantee? How does it work? DDoS protection Is it included in the plan price? Website builder Are there modern designs available? Can I customize them? Voice servers Does the host offer them? Which ones? Are they pre-installed? Add-on gaming modules What type of gaming modules does the host offer? Are they included in the plan price? Easy installs Does the host offer pre-installed games or one-click installs of modules? One of the biggest options is pre-installed games. This one is a big timesaver. Administrators can spend more time customizing the game for their players instead of installing it. Forums are a big part of gaming where players meet to discuss the game. Achievement systems, also known as gamification, reward users for contributing to the forum. A player might get a trophy for making a certain amount of posts. These achievement foster a lively community. 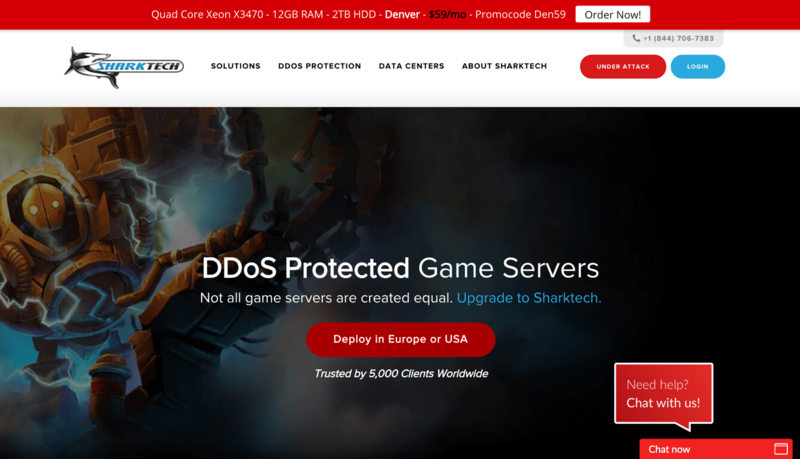 Sharktech is one company offering game server hosting. They offer security, hardware, and software optimized for gaming. Mint Panel is another control panel application similar to cPanel but designed for game servers. Like its counterparts, it aims to make setting up game, web, and voice servers easy. How Reliable Are Game Servers? If you’re willing to pay for the privilege of hosting a game server, you want it to stay up as much as possible. If it crashes, you’ll face angry players just as businesses face angry customers. Some hosting companies that target the gaming market don’t seem to offer as much information on how they run their servers the way other web hosting companies do. Find out if they have an uptime guarantee and how it works. Make sure to check the small print. Read customer reviews to gauge overall quality and performance of the host. Gamer Server Hosting: Try Before You Commit? Consider going with a host that will let you try them out for a couple of weeks or a month with no contractual commitment beyond that. As it is on the client side, game servers run on Windows most of the time. There are a few game servers that have been ported to Linux. Some of them are open-source. Performance is a key issue. Games should run at an acceptable speed and not have any lag. Multiplayer gaming has moved into solving real-world problems. Eyewire is a game that has recruited over 250,000 players to help Princeton University’s Seung Lab map neurons. Gaming is not the only use of these servers. If you want a game server, chances are you’ll want a web presence. That could be for your gaming group or it could be for the server itself. You might want to have a ranking of the best players. A good gaming-focused host will make it easy to set up a website. If you’re not skilled to build a website from scratch, they should have some kind of WYSIWYG site builder. If you remember the bad old days of GeoCities, don’t worry. These builders have come a long way since the ’90s. They’re increasingly using HTML5 and produce clean, professional-looking websites. You should be able to customize the design. Modern gaming has a visual flair, from the graphics to the clever computer case designs, to the websites, you should be able to show off your style to the gaming world. What are Some of the Most Popular Online Multiplayer Games? So what are the most popular multiplayer games that people are setting up servers for today? Here’s a small sampling of the hottest games. Minecraft is not only one of the premier indie games, but it’s a fountain of creativity. Players start from nothing and learn to build impressive structures, as well as explore a strange, blocky world. The popularity of Minecraft’s block-world shows no signs of slowing down. The game has attracted a lot of attention for its unusual pseudo 8-bit look transposed into a 3D world. In this popular first-person shooter game, players either play as terrorists or counter-terrorists trying to stop each other in fast-paced multiplayer action. Two students created the original Counterstrike game, which was a mod based on Half-Life. Dig into their fascinating story here. It’s currently developed by Valve, the creator of the popular “Half-Life” series and Steam, the online game store. This horror-based game started as a mod of “Unreal Tournament,” before being spun-off into its own game. Developed by Tripwire Interactive, it’s a first-person shooter, just like its parent game. Players try to kill hordes of zombies in the single-player mode, but the multiplayer mode also features one-on-one action. With all of the fun games out there, who on Earth would just want to watch other people play games? A lot of people, apparently. Twitch allows gamers to stream themselves playing games live to the internet. Popular streamers attract thousands of viewers to their streaming sessions. Let’s Play videos are exactly what they sound like: a user plays a game while commenting on the action. The worse the game, the more fun it is. Try watching a Let’s Play on a really bad game, like “Big Rigs: Over the Road Racing,” which is a glorified tech demo. Anyone who’s ever watched the TV show Mystery Science Theater 3000 can see the appeal. A lot of the comments are hilarious. As mentioned earlier, game mods are a part of gaming culture. Doom popularized the concept and a few major games started life as mods. The next generation of game developers will likely cut their teeth on mods as well. As mentioned earlier, gamers have been forming into teams, also known as guilds. Some of these guilds compete professionally. More web hosting companies are seeing that gaming is not just child’s play, but big business. As they compete for the dollars of gamers, the best ones will offer impressive performance and solid reliability. 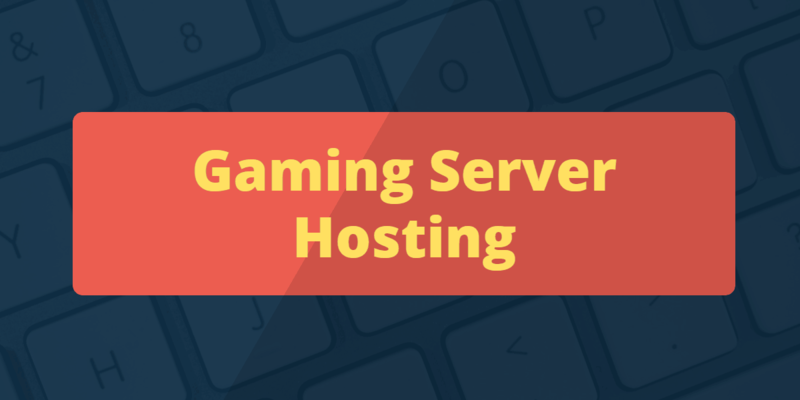 Top quality hosting is the killer app for gaming. What is an online game server? There is no one answer, there are a lot of different kinds of game servers. Online gaming has existed even before the internet, through local networks, with text based game over terminal. However, more colloquially, a game server generally refers to a dedicated computer that runs the server code to allow multiple human players to exist in the same game instance. What types of game servers exist? There are quite a few different ways in which to setup a game server, and if often depends on the game genre being served. There are Dedicated Servers for action-oriented games, and most console platforms have pretty comprehensive infrastructure for delivering real time updates. There are also peer-to-peer systems, which is more common for strategy games, and there are “Listen Servers” which effectively mean an ad-hoc small dedicated server running on a single computer. Dedicated Servers are effectively persistent, regardless of who is connected to the game. If the game is persistent, it will continue to exist and run even if there are no players. If a game requires a session to be started, then at least one player needs to start it, and the session will continue until all players leave. A dedicated server requires low-latency hosting in order to function well during gameplay. Who runs a dedicated server and why? For consoles, most servers are managed by the developer or the distributor, being run as a service and totally unseen by game players. However for some console titles, and for a lot of PC titles, “clan” groups or professional providers will often set up their own servers, setting the game rules exactly as they desire. What are the needs for a game developer rather than a game player? Being a developer and offering a dedicated service for multiplayer, generally means a lot of setup and enterprise level relationships with the hosting provider(s). Depending on the type of gaming server being setup, a developer needs to take into account high bandwidth, high CPU and high memory. If they wish to perform deep technical analysis of in-game statistics, they will need a rather large data solution as well. Additionally, raw bandwidth speed sometimes is not enough, having a dedicated provider for data streaming (such as PubNub) can aid in real time communication speed. Can I setup a dedicated server on my home computer? Many games that rely on dedicated servers for multiplayer can have that server run locally on the same computer that is running the game client. So Player 1 would setup the game server on their computer, and then boot up the game and connect to “localhost” – while Player 2 would login to the IP address of player 1. This setup can sometimes be challenging since firewalls and blocked IP ports can be a major issue. Also, most computers running on an at-home internet connection will be limited to just a handful of players. Additionally, home-hosted multiplayer games are difficult to keep running persistently, even if the electricity is affordable, most home internet service providers either charge for a dedicated IP address or don’t allow them at all. When should I decide to purchase a dedicated server? If you intend to host games with more than a dozen people active at once, or plan on having a game which exists is either in a persistent state (never turns off) – then I highly recommend a dedicated server. Also, for any game which requires match-making from a lobby, where you would like to be the server administrator very often, a dedicated server makes a lot of sense. Depending on the game you are playing, and who is supporting you, it might be possible to ask for donation to offset the cost. What games are the most popular for dedicated servers? The most popular game will change every few years, but there are a consistent few near the top. In Western markets, Minecraft is perhaps the most prolific in terms of private server use. Multiplayer Online Battle Arena (MOBA) games are now very popular and are a mix of private and proprietary servers, with League of Legends and Dota 2 having the biggest share of dedicated servers. First person shooter games (FPS) also tend to have dedicated servers, with the long time popular options like Counter Strike. East Asian markets tend to have a lot of private servers for MMORPGs, games which involve large open worlds, character development and monster killing. How should I figure out what dedicated server provider to use and how to set it up? First take into consideration the game you are setting up the server for. What is most important for this particular game? For Minecraft, memory and storage are much more important than in an FPS, because Minecraft generates a world that gets modified over time. For FPS and MOBA games, storage isn’t as important as network latency, it’s most important that every click gets transmitted right away. Once your needs are established, compare providers based on price, but also on global coverage of their datacenter network. Unless you specify that your server is meant for a single country, you will probably have many international players which may effect the latency. I now have a dedicated host figured out, how do I setup my game’s server code? You’re on your own for that one, every game is different and has very particular steps to setting up correctly. However, the internet is full of amazing tutorials, and if you’ve elected a web host that specializes in game-hosting, you might be able to get help in your setup. Most games that offer private hosting will have dedicated host software for you to install, and it will come with a comprehensive guide. However, the more modifications you attempt to make, the more technical knowledge you will need to learn. Start with the basics and keep expanding from there!